Southern Fried Country Chicken, finger licking good. Pure delicious, simple to prepare, packed with beautiful flavour. This sure is family favourite, everyone keeps coming back for more. Thanks Tandaco for a lovely coating mix. 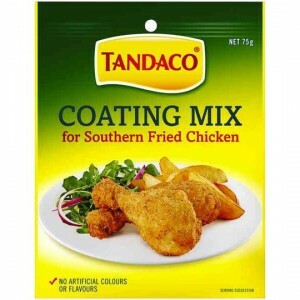 How would you rate Tandaco Coating Mix Fried Chicken?